Wakefield Hospice 'Santa Dash'. Helicopter to Pugneys Park. 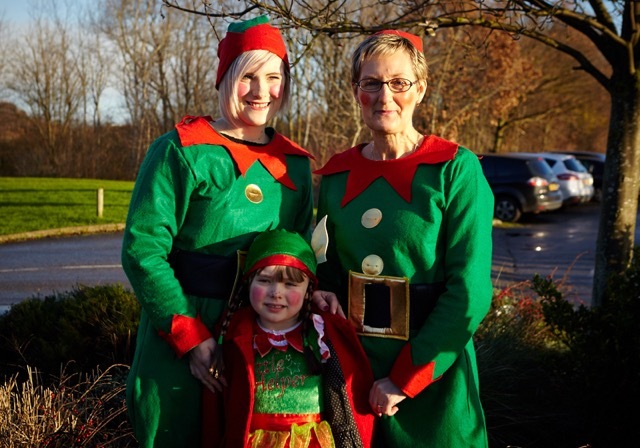 Nigel Watson Ltd was pleased to sponsor the helicopter for the Wakefield Hospice 2014 ‘Santa Dash’. I was delighted to sponsor the helicopter which brought a lucky winner to Pugney’s Country Park, Wakefield, Yorkshire, on December 7th. Wakefield Hospice had a competition for one person and their companion to arrive at the Santa Dash by helicopter. You might be interested to know that Wakefield Hospice have a donation page. Here’s the link. On average, the hospice caters for over 300 in-patients and 1,800 day therapy attendances every year. No charge is made for care, so they rely on fundraising initiatives and the generosity of the community to help meet our annual running costs which exceed £3 million, of which over £2.3 million needs to be raised by voluntary contributions.